Social narratives help students understand social norms and expectations. They must be simple, direct, and have meaning to the student. 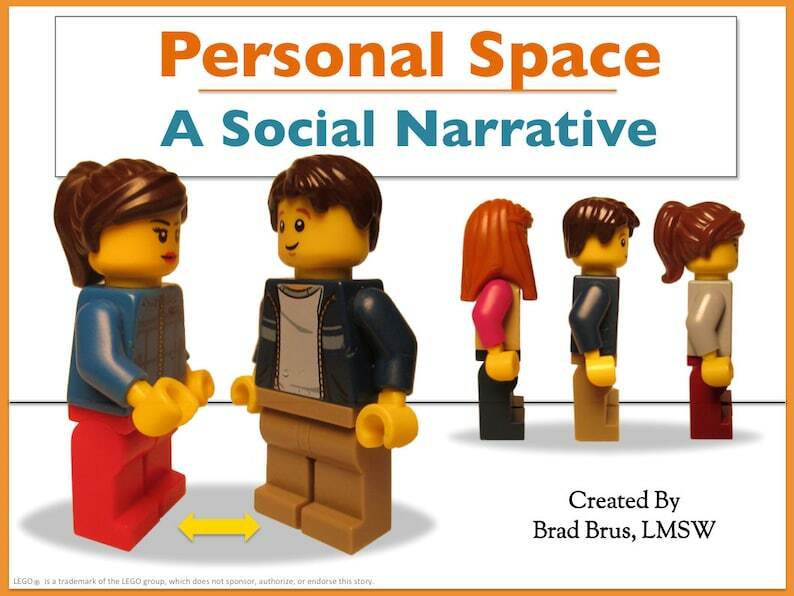 This quality social narrative helps students understand rules of personal space in a fun, meaningful way that makes sense to them. While this social narrative is particularly useful to students with autism and related disabilities, it is also helpful for ALL students. Thank you for your interest in supporting students through the use of creative tools in school. It is important to remember that students need to review these types of social narratives on a regular basis in a proactive, teaching manner over time - not only to be used after an incident has occurred (although they should be used for this as well). Thank you for supporting your students with quality, evidence-based strategies! All files are for personal use only. You can print for your own personal use as many times as you would like, but files may not be shared or sold. Through this listing you are paying for my time and services relative to the creation of this social narrative. LEGO® and the lego characters and bricks are trademarks of the LEGO Group of Companies which does not sponsor, authorize or endorse this product. great resource for my students with Autism! Perfect for teaching students about personal space! Social Story - When I Feel Mad I Can Calm!